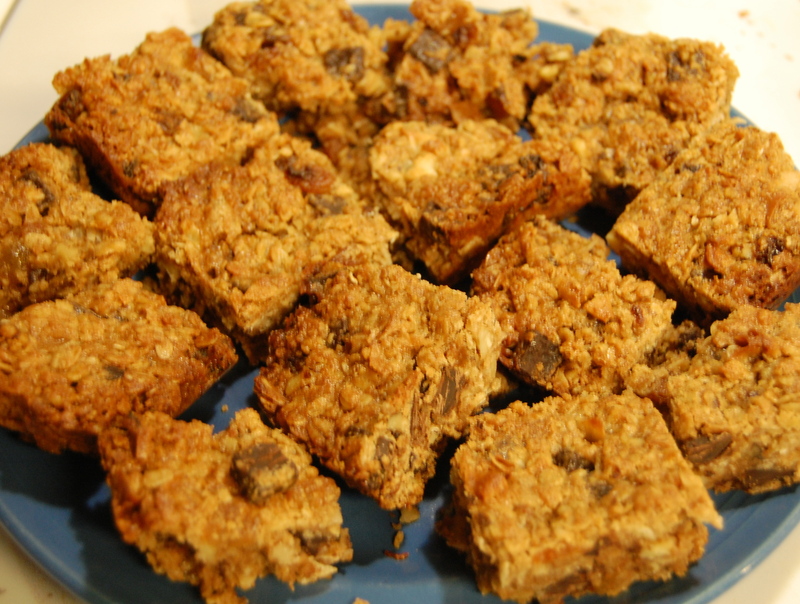 Recently I have been on a baking streak, as my housemate can attest to – “You’re baking like a mad woman!” It’s fall and my cupboards (and fridge and freezer) are bursting with pumpkin, apple, cinnamon, and chai treats. After weeks of baking cakes, breads, and cookies, I knew I needed a change. 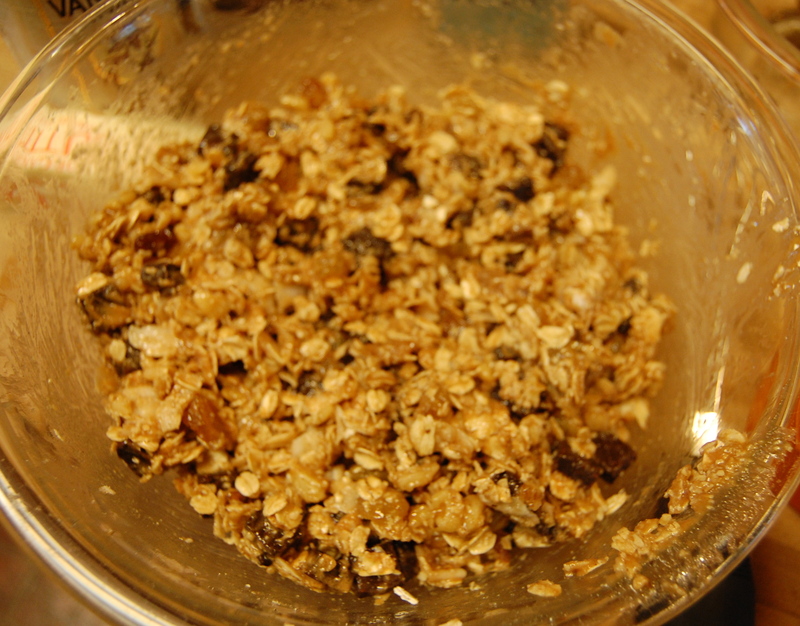 That’s when I found this granola bar recipe from one of my favorite food blogs. Preheat the oven to 350°F. Line an 7″ x 11″ x 2″ pan with parchment paper. You can also use a 8″ x 8″ x 2″ pan if you prefer thicker bars. 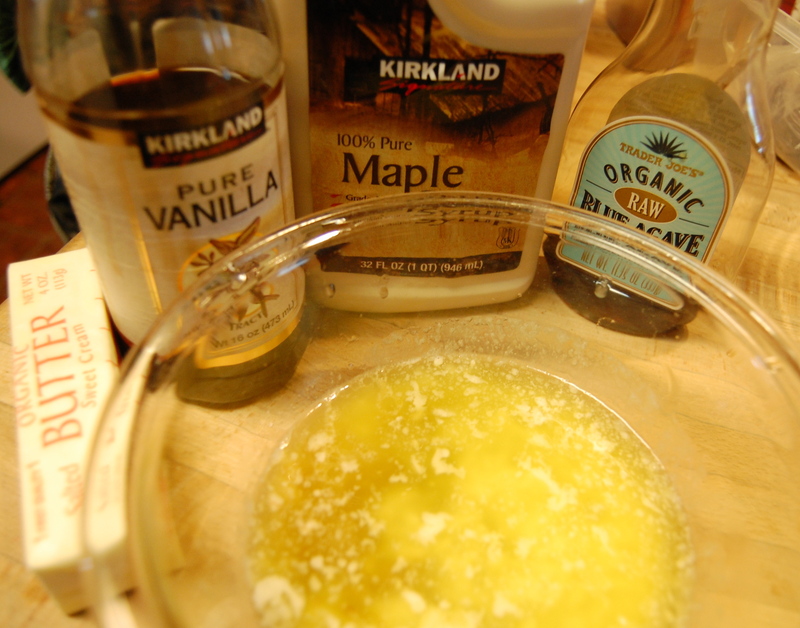 In a separate bowl, whisk together the vanilla, melted butter, liquid sweeteners and water. 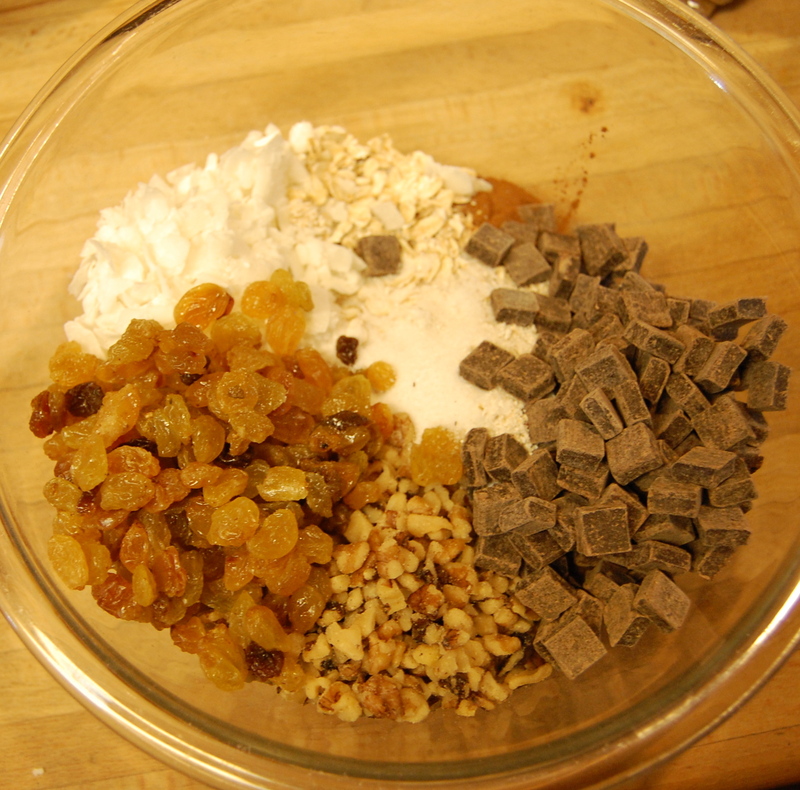 Toss the wet ingredients with the dry and peanut butter until the mixture is well combined. 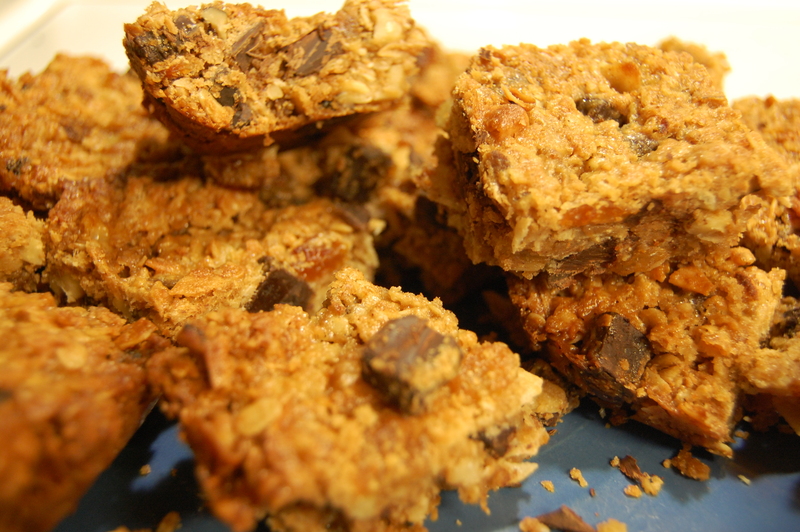 Bake the bars for 30 to 40 minutes, until they’re brown around the edges and top. They may seem soft but they will set as they cool. Cool the bars in their pan completely on a cooling rack. Alternatively, you can remove the bars from the pan by lifting the parchment paper out of the pan. 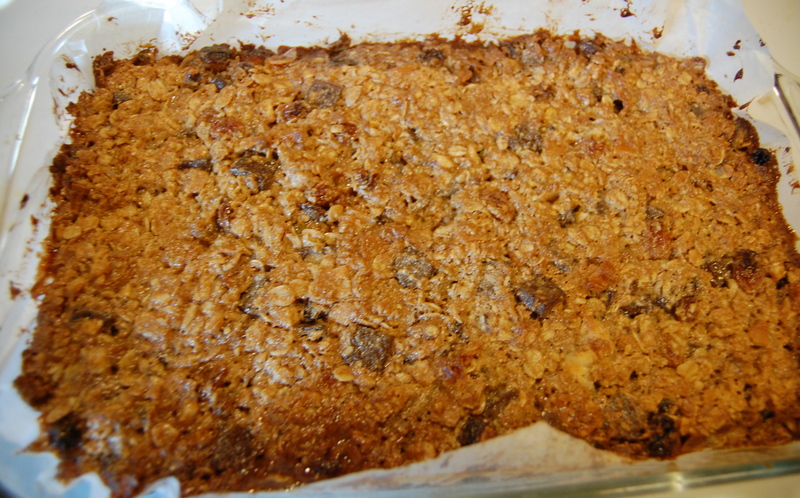 Bars may retain their shape better if you leave them in the pan, but they will take longer to cool. You may also chill the pan and bars in the fridge for about 30 minutes so that the bars will better set. Once they are cool, cut the bars into your preferred size and enjoy! 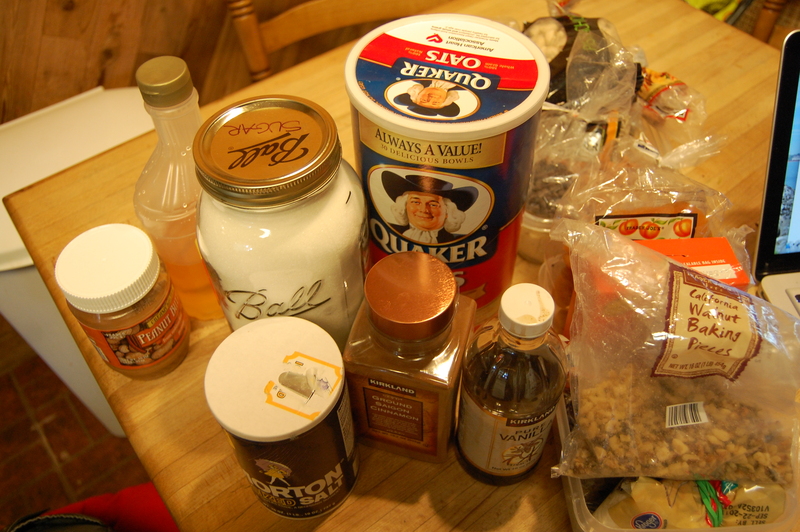 To store, wrap the bars in plastic or store in an airtight container. According to Deb at Smitten Kitchen, these bars also freeze well!